As Darren says in the film, 'When you invite God into your marriage, your marriage is so much better," and Indivisible: One Marriage Under God is the perfect way for couples to do that in the midst of life's ups and downs. The Indivisible devotional offers 50 in-depth devotions that include a marriage-themed message, Scripture, a prayer, guided journaling, and a Take Action challenge. 'Indivisible: One Marriage Under God' is practical for any couple who wants to deepen their relationships with God and each other. 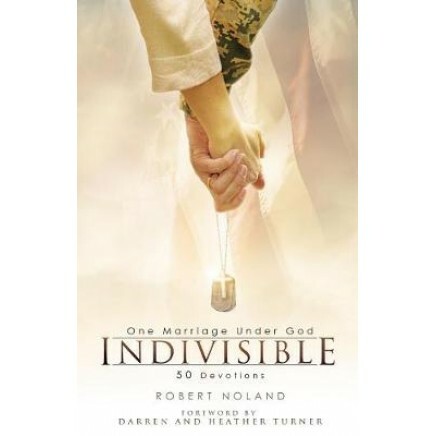 With a foreword written by Army Chaplain Darren Turner and his wife Heather, 'Indivisible: One Marriage Under God' offers hope and grace for even the most challenging situations. This is the perfect gift for military families, newlyweds, and those looking to strengthen the foundation of their marriage.